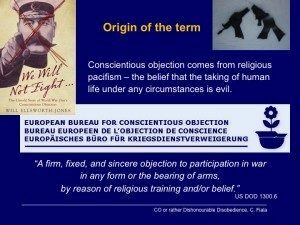 Conscientious objection (CO) in the West originates in Christianity in the form of pacifism — the belief that taking human life under any circumstances is evil (Moskos and Whiteclay Chambers, 1993). 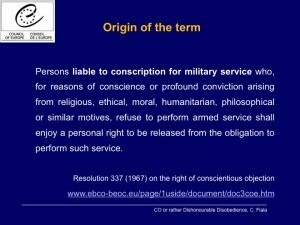 Although all conscientious objectors take their position on the basis of conscience, they may have varying religious, philosophical, or political reasons for their beliefs. Reproductive health is the only field in medicine where societies worldwide accept freedom of conscience as an argument to limit a patient‘s right to a legal medical treatment. However, CO in medicine is still largely unregulated across Europe (as in the rest of the world) and abuses remain systemic (Center for Reproductive Rights, 2010).